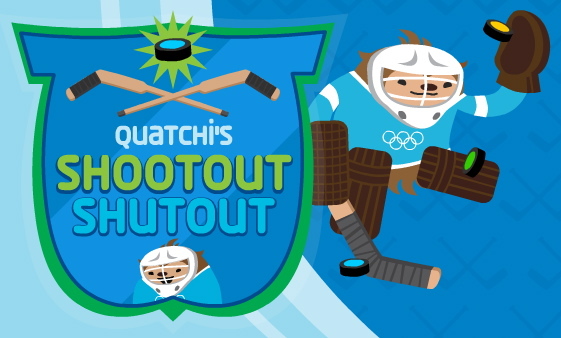 Help Quatchi stop slapshots by Miga and Sumi, while Mukmuk referees (and drives the Zamboni). My best score so far is 1580. This entry was posted in Uncategorized and tagged hockey, Meomi, Miga, Mukmuk, Quatchi, Sumi. Bookmark the permalink. The game is addicting! Thanks for sharing!